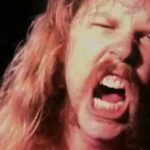 Home Videos James Hetfield Makes His Fan’s Life With Incredible Sign – His Reaction Is Unique! Always Knew James Was The Man! The members of Metallica have always come off as tough, gritty and straight badasses. But there’s no doubt , that on the inside, they’re some of the nicest people in rock n’ roll. Take for example this amazing moment between a fan and frontman James Hetfield after a show. Hetfield exits the stage with a roadie, and has one of his signature guitars in a nice case. He makes his way down the tunnel backstage, and spots a fan hanging out with his friends. 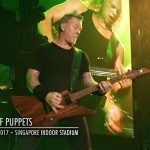 Hetfield stops, pulls out the guitar, and hands it to the fan! He then proceeds to sign it, and take a picture with the fan and his friends! 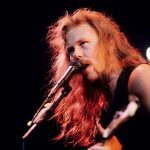 The first instrument James Hetfield learned to play was not the guitar; it was the piano at age nine! What a great moment! check it out for yourself down below!